Strategically located in the centre of Canada’s Innovation Corridor, Guelph is a convenient investment location with easy access to the North American marketplace and over 460 million consumers. From here you have access to international airports, major highways, 4 U.S. border crossings and reliable rail, including the city-owned Guelph Junction Railway. Businesses can also take advantage of the established regional supply chains and professional services and networks dedicated to support you. Guelph provides the expertise that you can count on with access to a highly educated labour force of 3.5 million and 16 post-secondary institutes, within 90 minutes. When you factor in that at the end of 2018 Guelph had the second highest employment rate and lowest unemployment rate in Canada and that 97% of Guelph residents have rated the overall quality of life as good or very good, positioning your company here is a good business decision that will help your business and employees prosper. 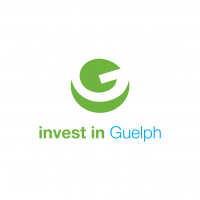 From the moment you begin considering Guelph we will provide you with a list of resources, offer an array of confidential business investment services, information and data resources and expedited and streamlined development approval processes to reduce your investment risk and save you time. We make it easy to do business in Guelph.